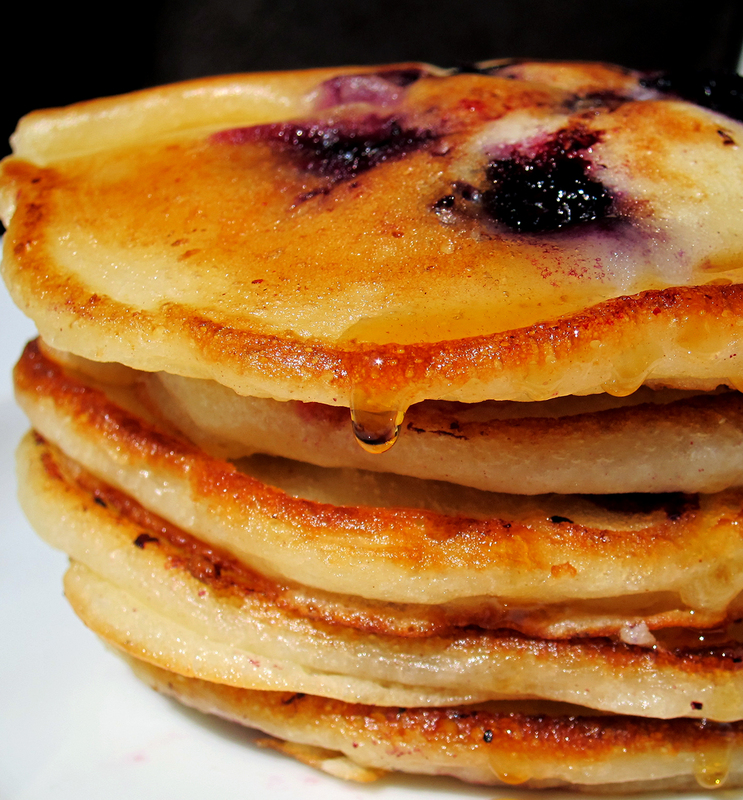 Over the weekend I made these yummy blueberry pancakes using my Russian recipe. Drizzling these with agave nectar or maple syrup makes them even more delicious. Enjoy! In a large mixing bowl combine all 8 ingredients. Mix well. Heat oil in a skillet over medium heat. Spoon 1/3 cup of batter into the skillet and cook for 2 to 3 minutes on each side, until light golden brown. Serve with maple syrup or agave nectar.